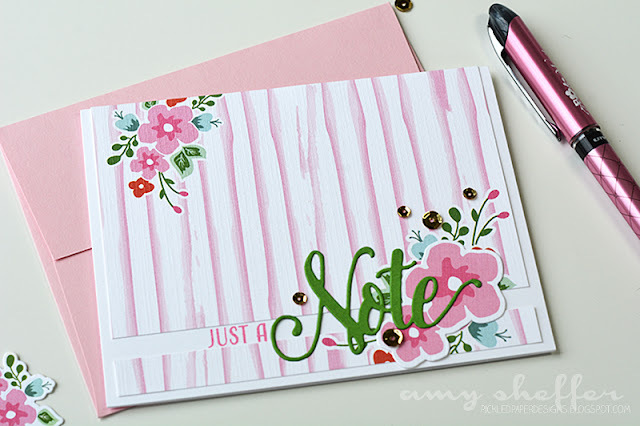 Today I'm excited and honored to help introduce Betsy Veldman's newest Make It Market kit: Don't Forget To Write. This limited-edition kit, inspired by Betsy's grandmother, includes all sorts of products for putting together customized stationery sets and so much more. All of the kit contents, as well as lots more kit info, is included at the end of this post. 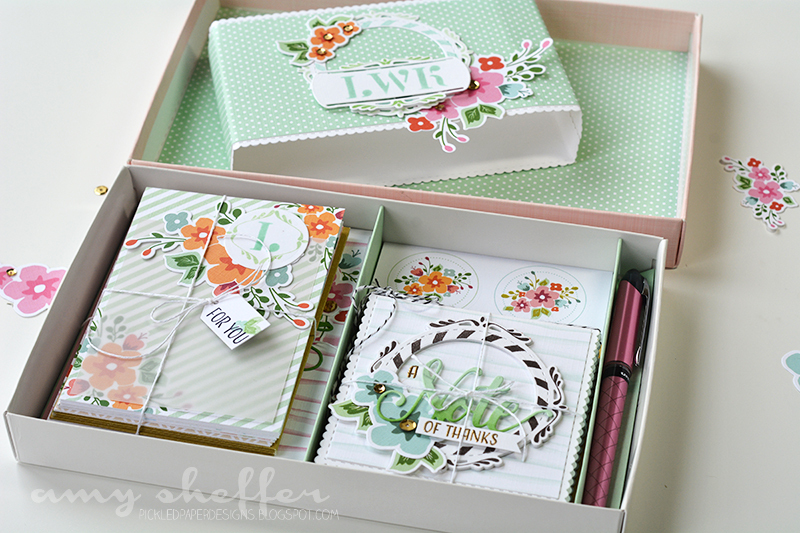 The Don't Forget To Write Make It Market kit will be available at 10 pm EST tomorrow, May 1, in the Papertrey Ink store. I went a little crazy creating with this kit (and you will too, if you get this kit), and I think I had almost as much fun photographing as I did creating, so fair warning, lots of pictures ahead! 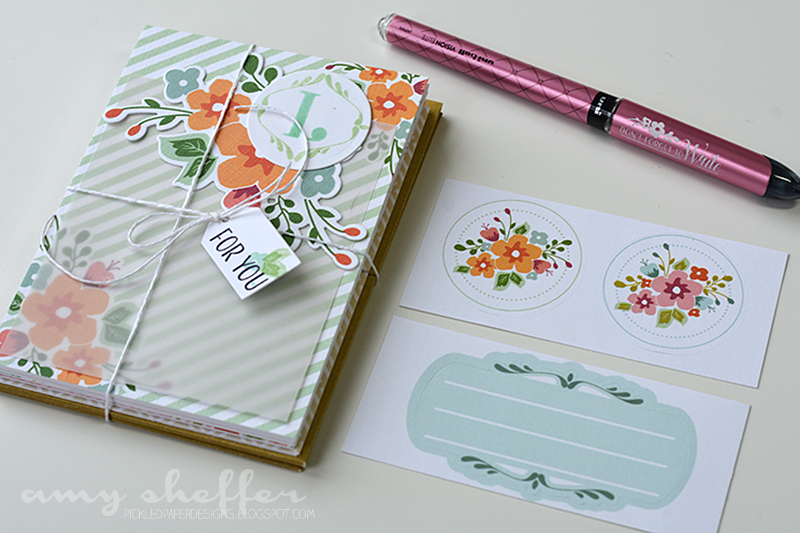 A handmade stationery set is one of those gifts that keeps on giving and giving. Don't Forget To Write comes packaged with a lovely pink stationery box that you can then use for your completed stationery set. Additional boxes will be available as an add-on for those who want to make multiple sets. 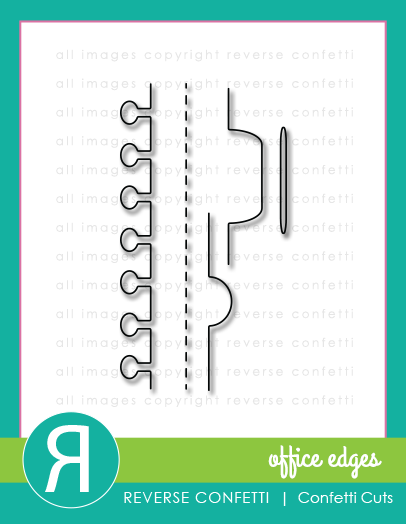 In addition, Betsy has designed some other box templates that will be available as a PDF download for kit customers. Lots more options there for smaller sets or just a different look! 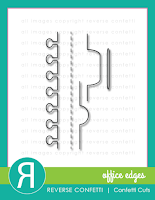 Before I go through the actual stationery items, here's a look at the belly band that goes around the closed box. One of the dies in the kit is an enclosure card die, which you'll see more of below. It turns out that two of them, left unfolded and placed end-to-end, fit nearly perfectly around the box. 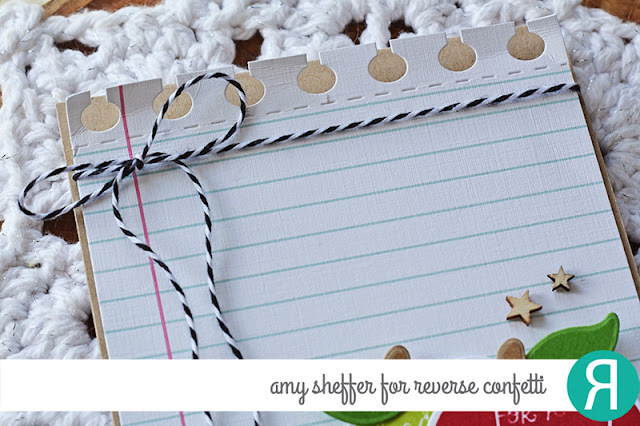 They don't overlap much at all, so you'll need a second layer of card stock or patterned paper to keep the belly band secure. 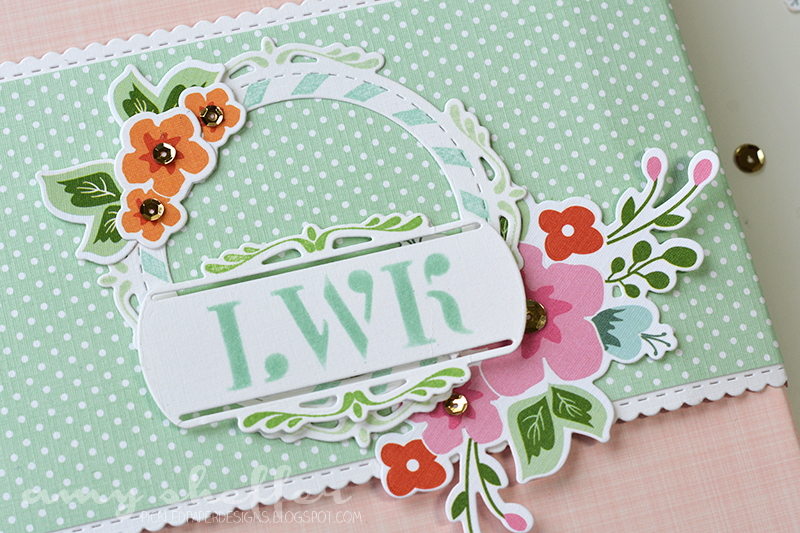 I used the bitty dot pattern from the Mint Julep + White Basics paper collection. 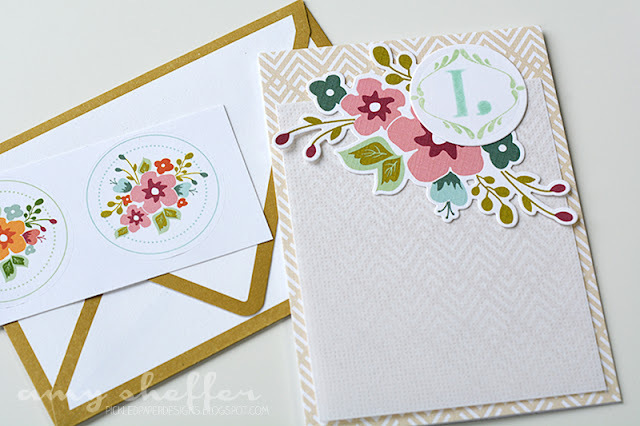 The monogram was done with the small letter stencils, stamped label and frame die-cuts, and floral die-cuts from the Don't Forget To Write A2 paper collection. Here's a first look at the contents. 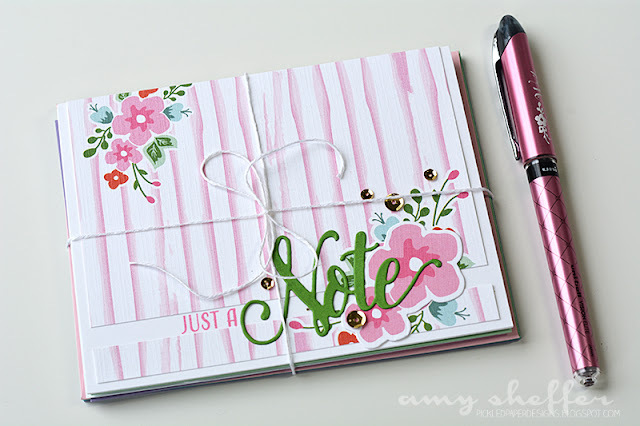 As you can see, the pink boxes are big enough to hold an assortment of different size cards, as well as the stickers and the custom-engraved pen that are included in the kit. I made two dividers out of Mint Julep card stock. 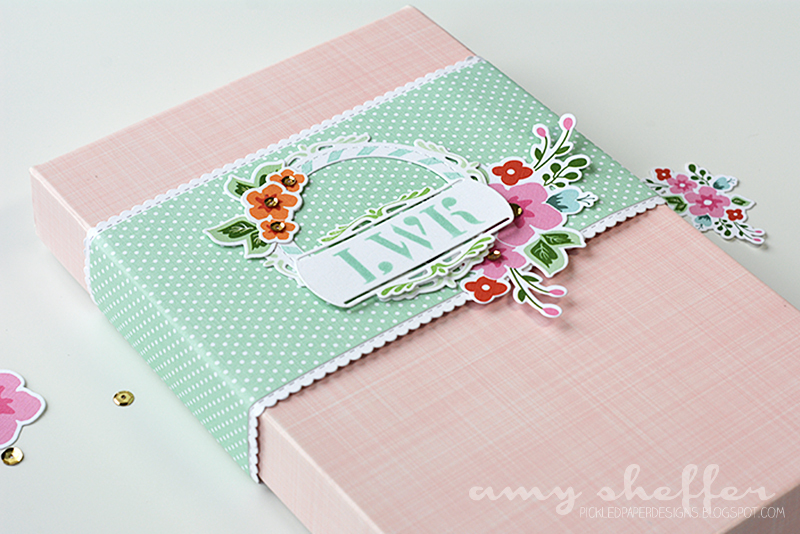 I also lined the inside of the box top with more of the dotted Mint Julep + White paper. This card set is super simple. 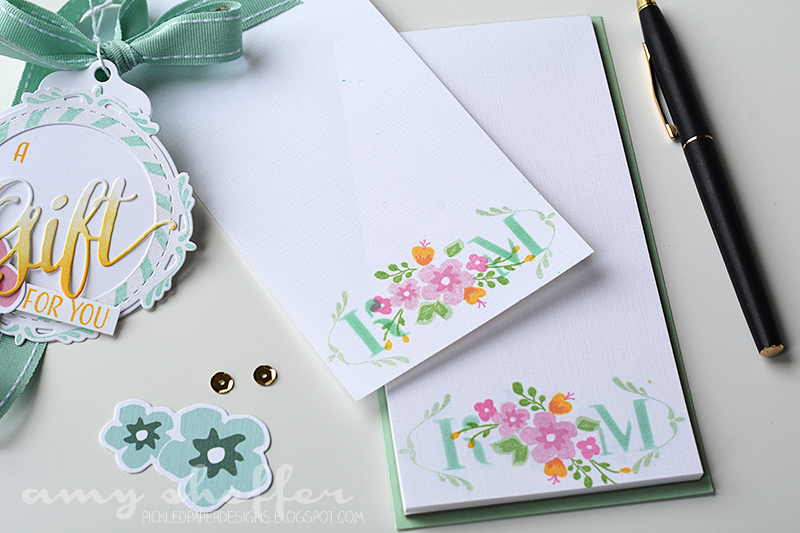 I adhered the full A1 sheet to an A1 card base, then topped with some vellum and a circle monogram. These monograms were all done with the small letter stencils. 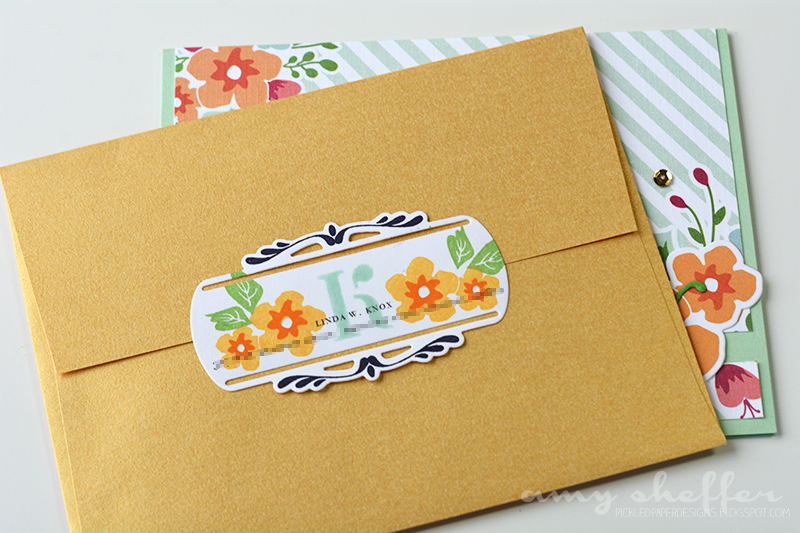 The letter is stenciled; the decorative flourishes are stamped. I love the gold seam A1 envelopes! 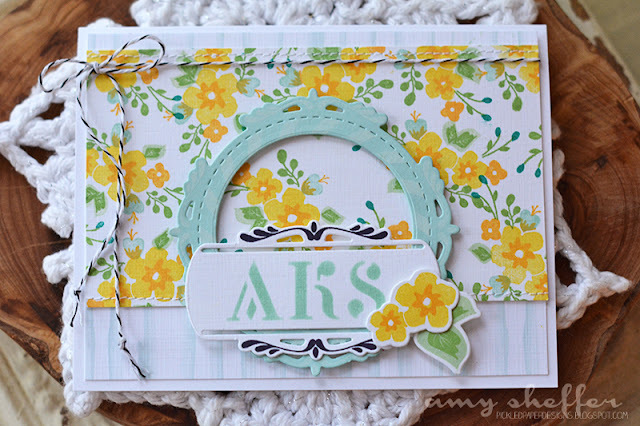 I stamped the corners on the front, then stenciled a monogram in the upper left corner. Here's the full set of six. 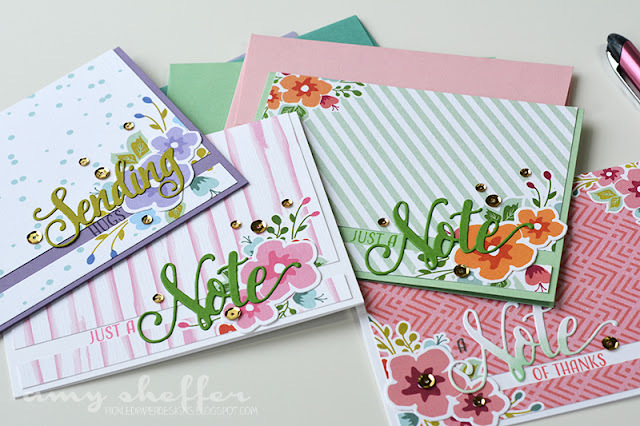 The design is pretty much the same for each card, and I found that the Aqua Mist and Mint Julep monogram worked beautifully with all of the different color combos. Next in the box is a set of four A2 cards. I paired the word die-cuts with stamped sentiments on each of these. Here's a look at all four. Next is a set of six 4x4 enclosure cards. 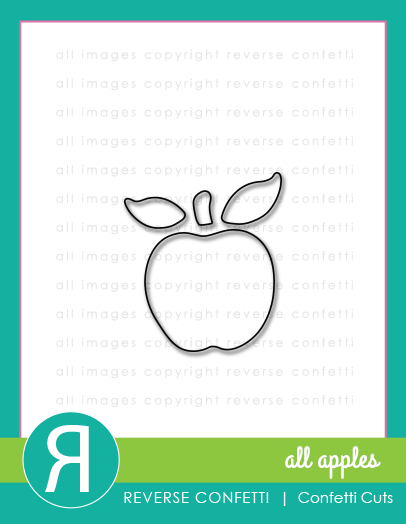 The card bases are die-cut using the included enclosure card die. I know I'm going to get a lot of mileage out of this particular die! 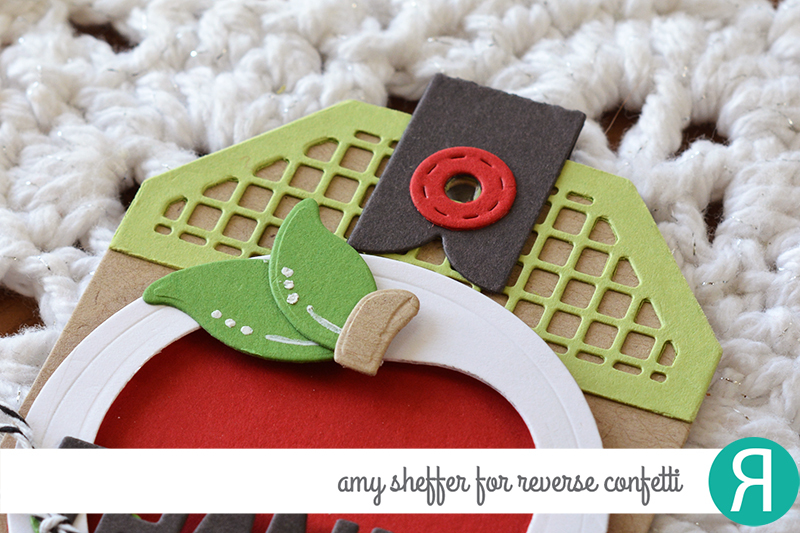 I love the petite scallops and the stitching detail! Here's a look at the full set. 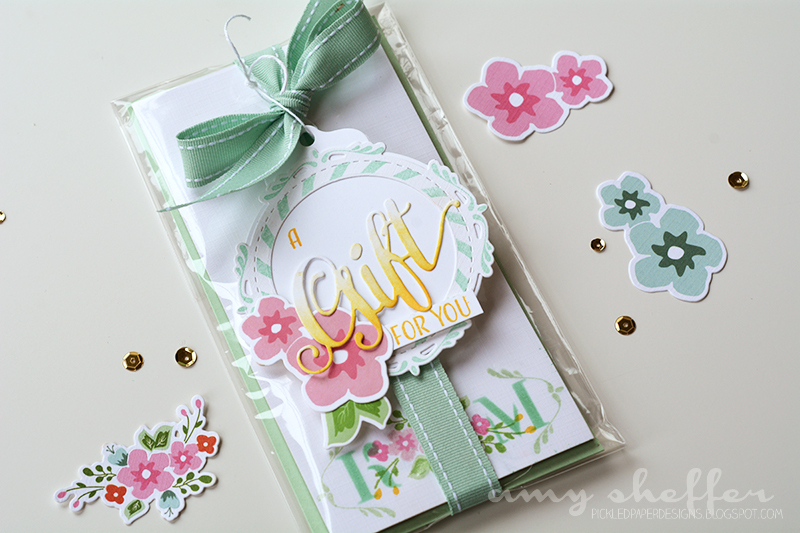 I used the two frame dies, the label die, all six enclosure patterns, word dies, and some of the printed die-cut-ready florals. On the envelope flaps, I used the large letter stencils for the initial, then accented with stamping in colors to match each card design. On each of these, I added some gold elements (embossed sentiments, sequins) to pick up on the luxurious metallic gold envelopes. 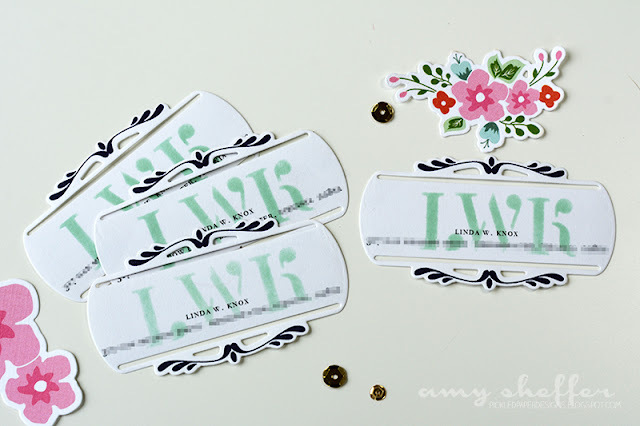 Here's a fun idea: make some custom return address labels using the label die and white adhesive sheets. 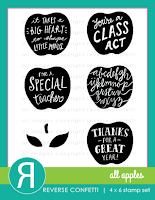 First, I printed my mom's name and address on the adhesive sheets, then die-cut the labels, and last added the letter stenciling and the stamped flourishes. 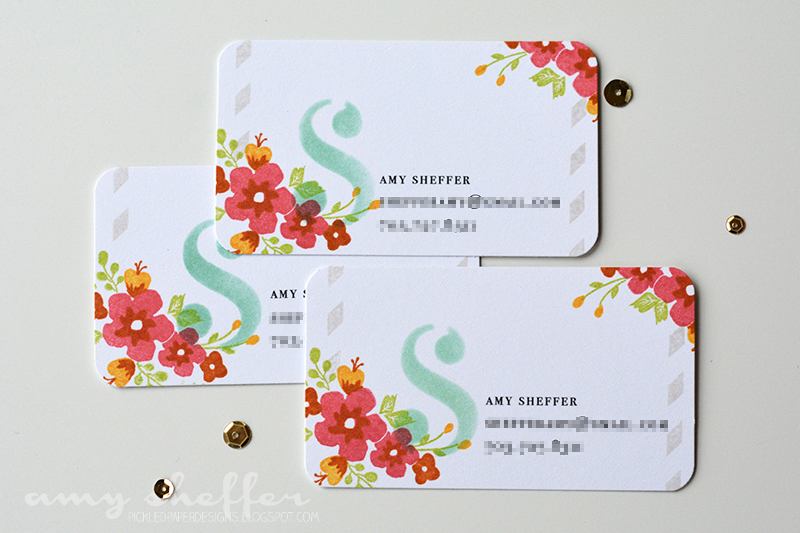 Here's another, more colorful return address label, this time with just the single initial and some floral stamping. I think that's it for the stationery set! As you can see, I've packed a little of everything into it. And now I can't wait to give it to my mom! 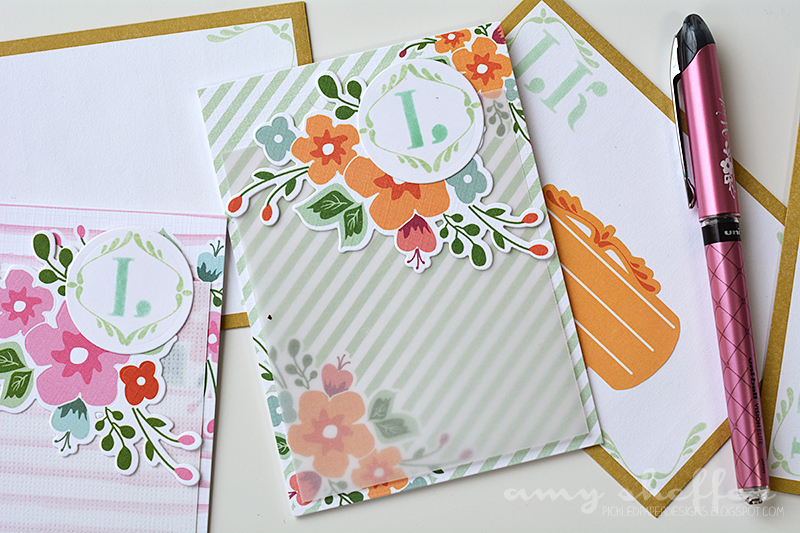 I'm loving the monogram stencils in the kit! 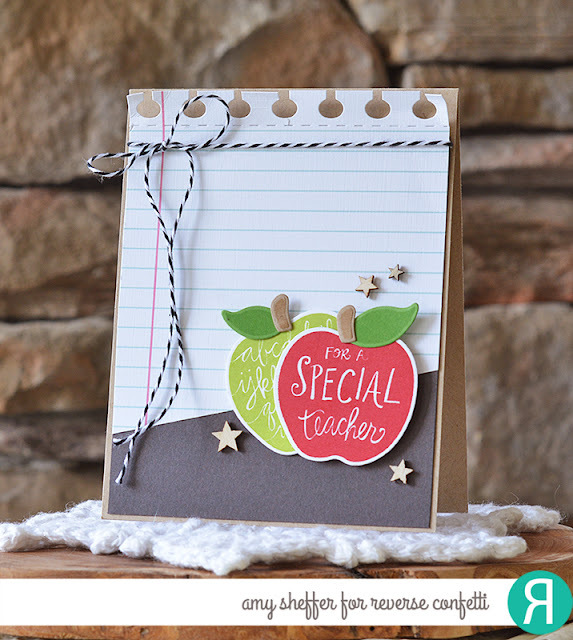 Here, I've used the stencils and stamps to create a personalized notepad for one of my younger son's teachers. I used one of the Moments Inked Notepads, which have 25 sheets of linen paper. 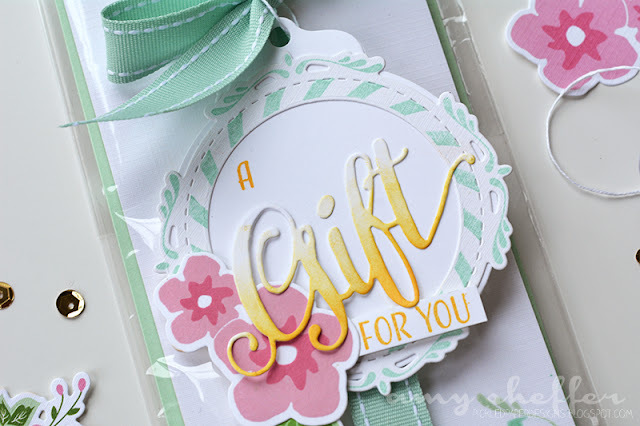 The gift tag was done by layering a circle frame from Don't Forget To Write onto a Tag Sale #4 die-cut. I stamped the frame and added some stamped flower accents. The sentiment is a combination of stamps and dies from the kit. It might seem crazy to stamp each sheet, but this whole gift, start to finish, took less than 45 minutes. Most of my cards take longer than that! The floral cluster is a multi-step series of images, which makes building a colorful bouquet super easy! I did the stamping assembly-line-style, stamping a single image on all 25 sheets, then going back and stamping the next image 25 times, and so on. I felt a little like a machine by the end, but it definitely helped the stamping go more quickly. I can't wait to give this one away either! 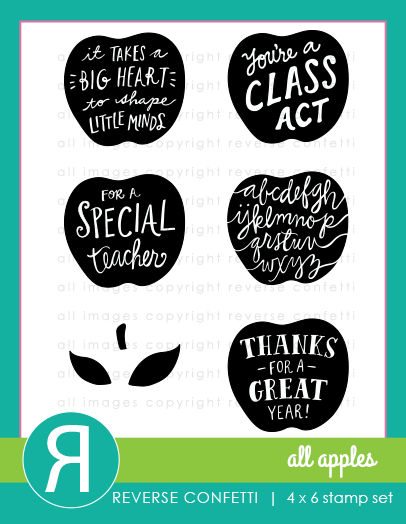 Teacher Appreciation Week starts Monday! 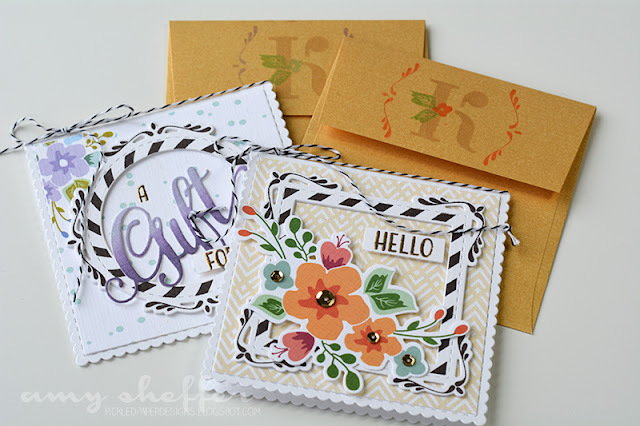 The Tag Sale: Quilted die is a fantastic size for the Enclosure patterned papers. I trimmed the Mint Julep stripe paper down slightly to allow the stitch lines on the Tag Sale: Quilted die to show. I made a simple box with a Tag Sale: Quilted front and back. 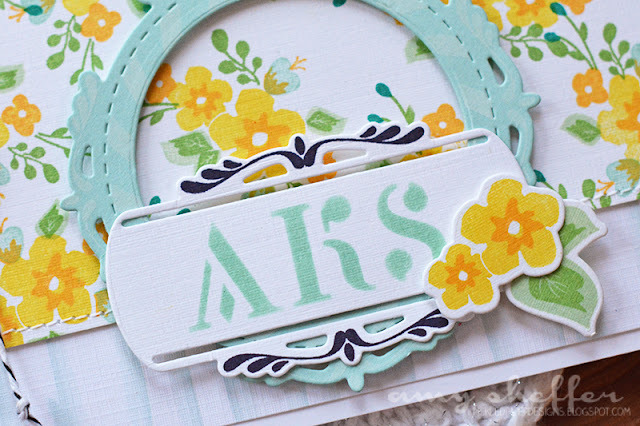 As I said, I'm loving the monogram stencils! As beautiful as the color combos are in the patterned papers (and I do mean beautiful! ), it's always fun to stamp other combos, too. I've used the small floral cluster multi-step images to create a background pattern of yellows, greens, and blues. I stamped it on Fresh Snow Linen, which gives it almost a fabric look. It's hard to see in the photos, but the Aqua Mist circle frame is stamped in Fresh Snow ink. 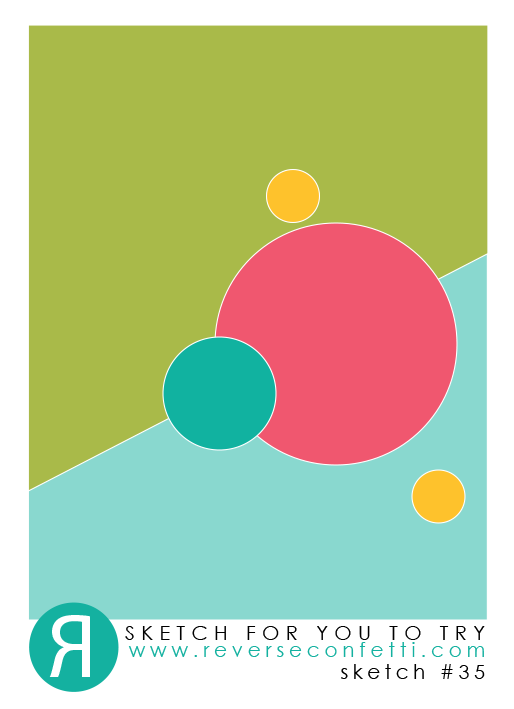 One more quick project idea: calling cards! I know, I know, don't we all just text each other our contact info now? Well I still think it's fun to do it the old-fashioned way! These would be a great opportunity to try out lots of color combos, too! The "S" was done with the large letter stencil. I've worked with a lot of kits over the years, and never has there been an easier or more beautiful one than this -- truly! 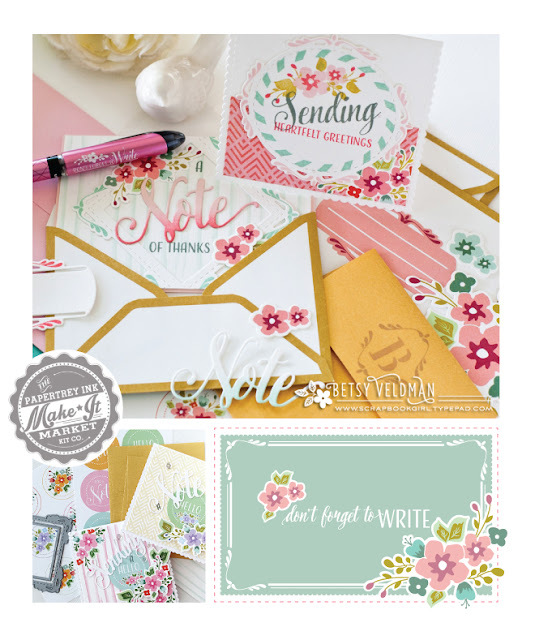 The next Make It Market Kit will be released on May 1st and it is entitled "Don't Forget to Write." There is nothing quite like that feeling when you open your mailbox and experience opening a handwritten letter from a loved one. With this kit you can create beautiful letter-writing necessities for yourself or as a gift. 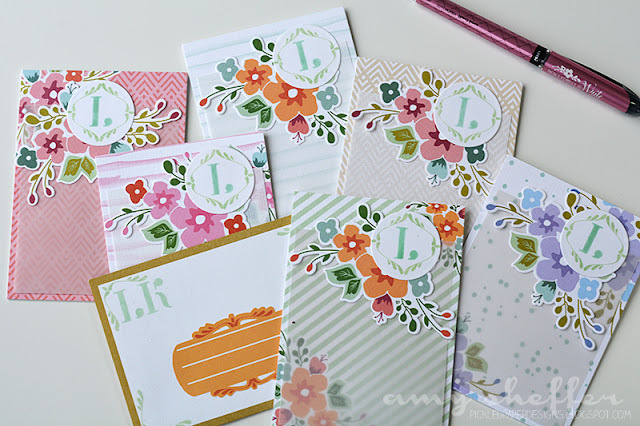 There is a shaped notecard die, monogram stencils, pretty label stickers and envelope seals, gorgeous envelopes and SO much more! 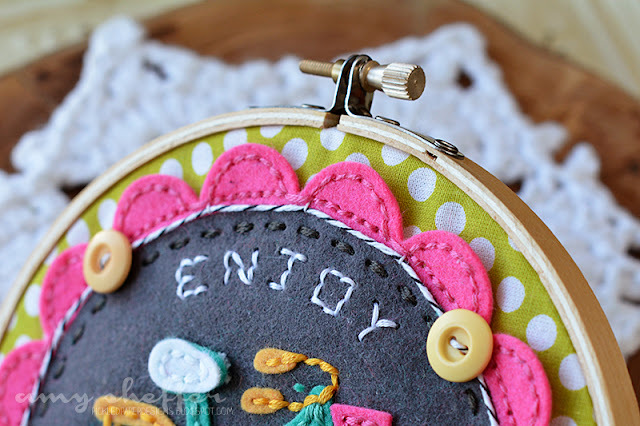 Betsy has integrated so many amazing details into everything here, not only will your projects be beautiful, but quick and easy to put together too. 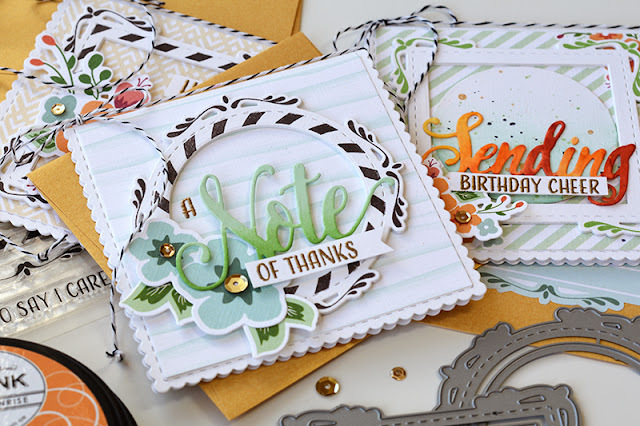 From stationery sets as gifts, pretty notecards to have on hand, and even monogrammed tags, you will never run out of options with this kit! You will have fun experimenting and playing with all of the contents once they show up at your door! The total retail cost of the "Don't Forget to Write" Kit is $110. There will be a limited number of these exclusive kits available, so be sure to get yours on Sunday! Thanks for hanging in there with me today! Hope you like this kit as much as I have! Here's our sketch for the month. I love this one! 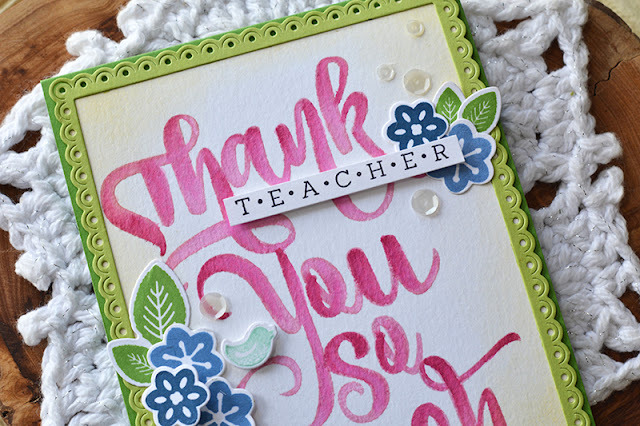 With teacher appreciation week around the corner, and the end of the school year soon after that, I know I'm going to need a lot of teacher-themed cards and treats. All Apples was perfect for the larger circle sketch element. For the smaller circles, I used some wood veneer stars. For the top panel, I used notebook patterned paper, trimmed the bottom on the diagonal to match the sketch, then added a spiral-bound border along the top using Office Edges. Hope you'll play along! Remember, link-up is HERE. 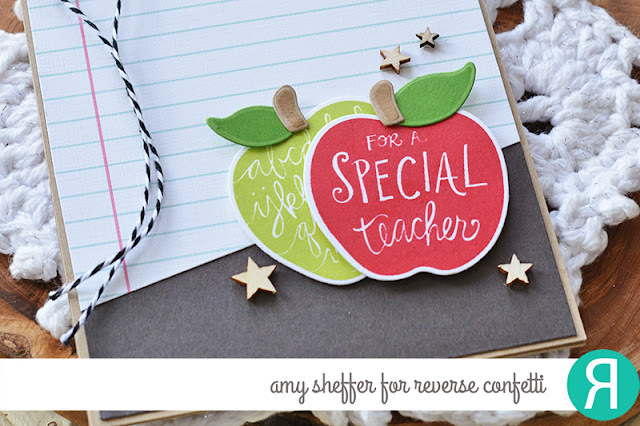 Also, be sure to visit the Reverse Confetti blog today for more sketch inspiration. Please join me today on the Reverse Confetti blog for this week's Wednesday in the Works. I'm sharing a quick tip, or really just a reminder, about using the negatives from your die-cuts, something I often trash without thinking! Hey there, friends, I've got a special post for you today! I'm hosting my first-ever Make It Monday video & challenge with Papertrey, called Faux Brush Lettering. Most of my lettering has been with ink and nibs, but in the past year, I've become more interested in brush lettering, both with markers and with an actual watercolor brush. It's not easy, though, and takes lots of practice! 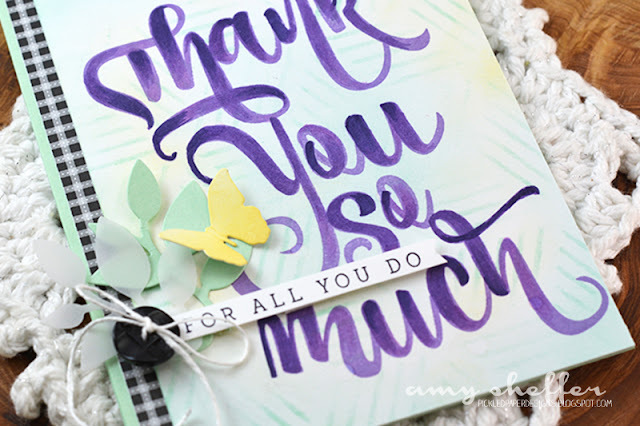 As I was preparing for Papertrey's April release, specifically Betsy's Paper Clippings: Thank You stamp set, I wondered if I could add some ink shading to my stamped sentiment to make it look like watercolor brush lettering. 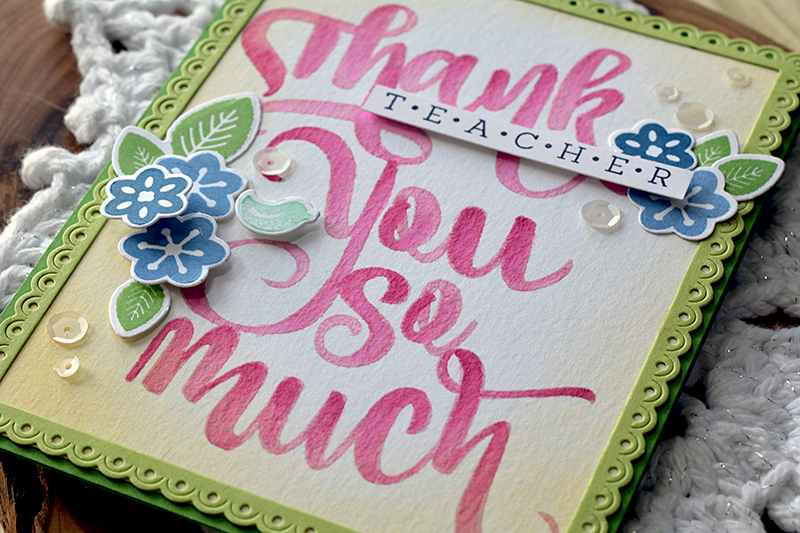 Today's Faux Brush Lettering Make It Monday video & challenge is the result of that experiment. Hope you'll give it a try! The Paper Clippings: Thank You sentiment that I used in my example is big and wonderful and dramatic, but there are lots and lots of smaller sentiment stamps in the Papertrey store that would work really well, too. Basically anything with a brush letter style font. Here are few suggestions: anything from the Paper Clippings series, Inspired: Lord and Inspired: Savior, the "hello" in Noted, Thanks, Coach, XOXO, many of the big words in Dawn's Enclosed series, any of the Wet Paint stamps, Super Succulents (just use a small brush! ), Graceful Greetings, and so many more. All of the challenge details are posted HERE on Nichole's blog. I've been busy with Papertrey's April release and was out of town for the last few days (on a super fun high school orchestra field trip), but now that I'm back, I can't wait to try this same technique with water-based markers (Zig Clean Color brush markers, Distress markers, Tombow Dual Brush Pens, for example). 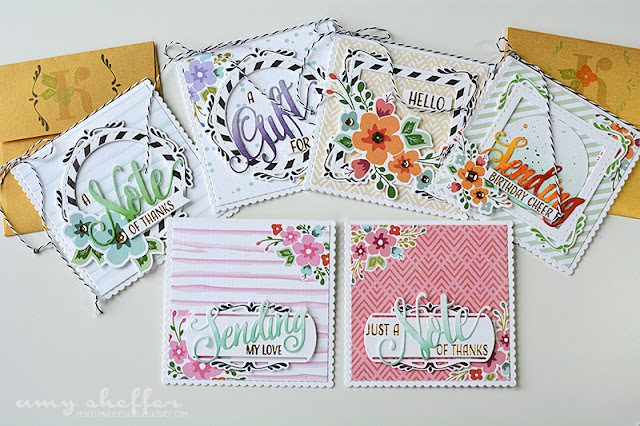 Also, in one of those "great minds think alike" coincidences, I saw that Sandy Allnock recently posted a faux watercolor hand lettering tutorial. I highly recommend watching her video as well. I especially like that she's blended multiple colors, instead of just shades of the same color. Can't wait to see your take on this challenge! Thanks so much for visiting today! Enjoy your week! 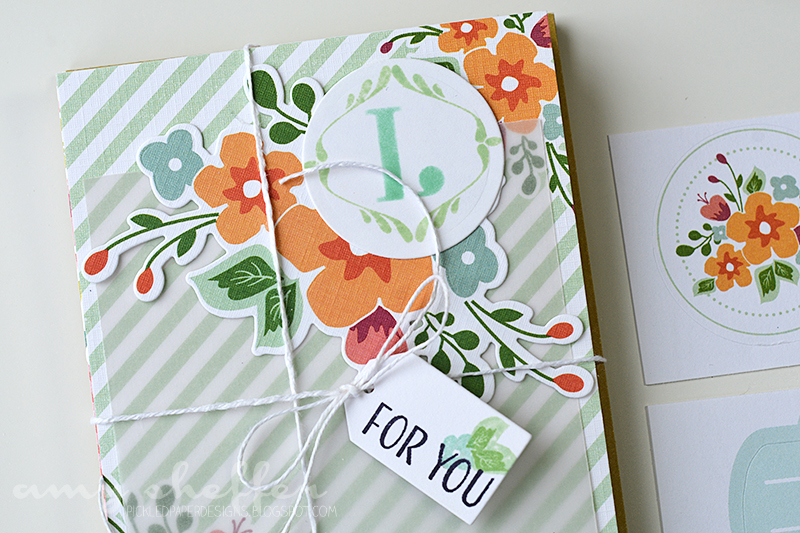 Today we wrap up Papertrey's April release countdown with our monthly Release in Review. All of the new products will be available at 10 pm tonight in the Papertrey Ink store. This is Betsy's Paper Clippings: Thank You. I love the intricate die-cuts in the Paper Clippings series, but I've used the stamps on this card, so that I could add shading for a faux brush lettering look. More on that coming soon! In the background, I've done a light sponging using one of the Modern Backgrounds stencils. 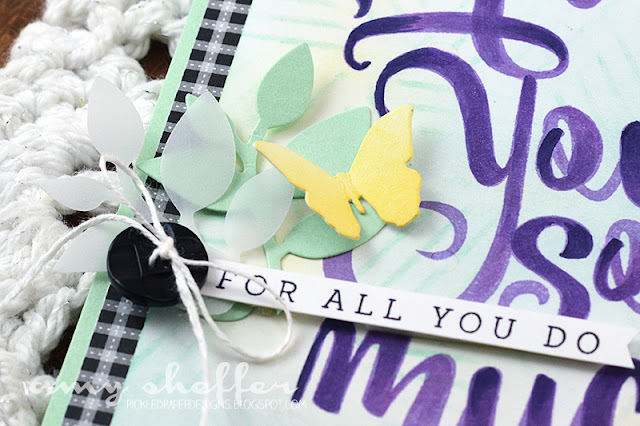 The sentiment strip is embellished with a pair of Branching Out branches and a simple yellow sponged butterfly. What a fun post I have for you today! 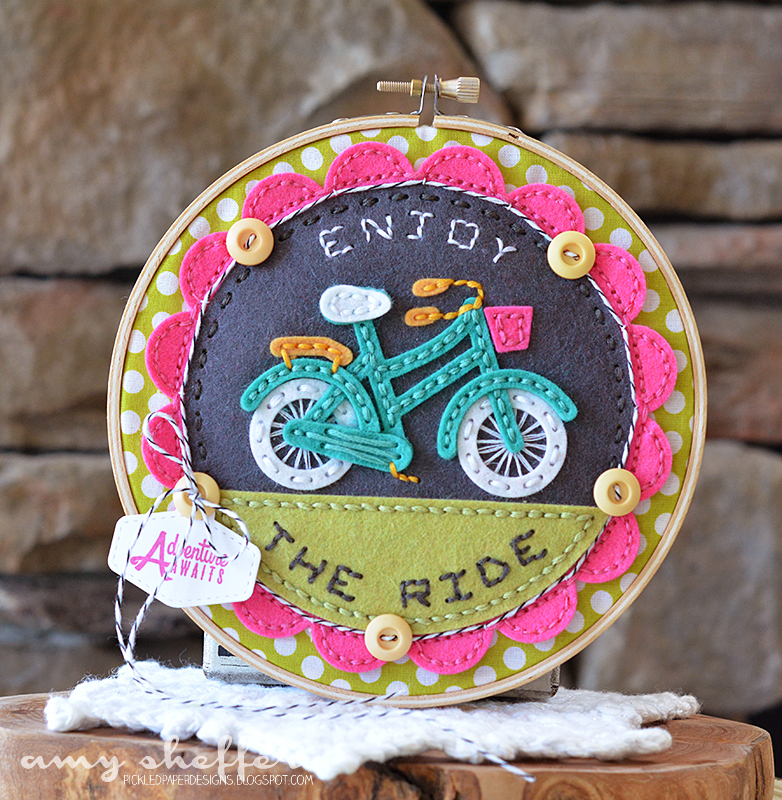 Papertrey Ink is finishing up its April release countdown with The Hoopla Stitching Collection. 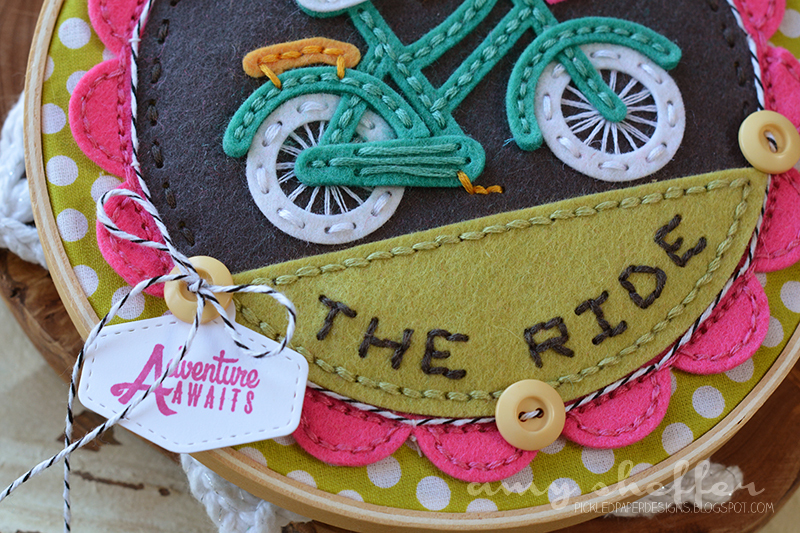 Erin Lincoln is the mastermind behind this collection (and all of Papertrey's stitching dies), and it is brilliant. She has elevated embroidery hoop art to a whole new level! In addition, Erin has a number of new stitched images this month -- sun, clouds, rainbow, cupcake, and alphabets -- which work with Hoopla and many other stitching projects. Today's products, along with the rest of the April release, will be available at 10 pm EST on April 15. I have created a piece of embroidery hoop art using a 6-inch embroidery hoop to make the felt circle background, I used Stitched Circles (Smokey Shadow), Hoopla: Stitched Circle Bases (Simply Chartreuse), and Hoopla: Stitched Scallops dies (Raspberry Fizz). 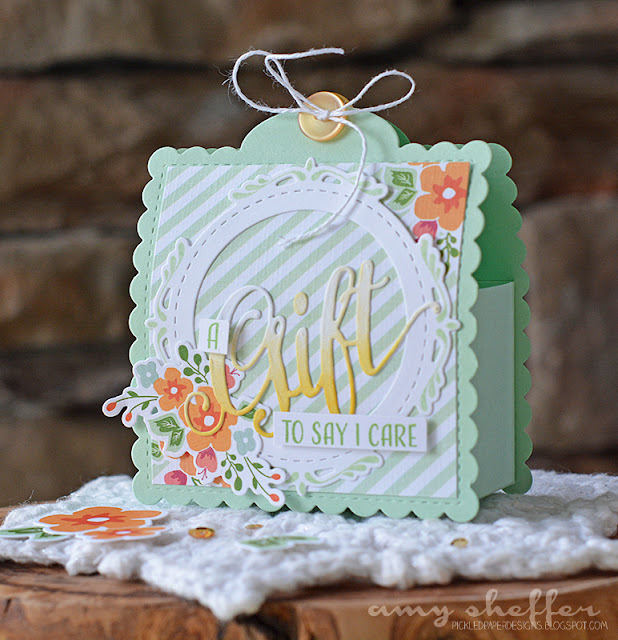 The sentiment was cut with the Tiny Stitched Alphabet dies and stitched. How sweet are those tiny letters?! 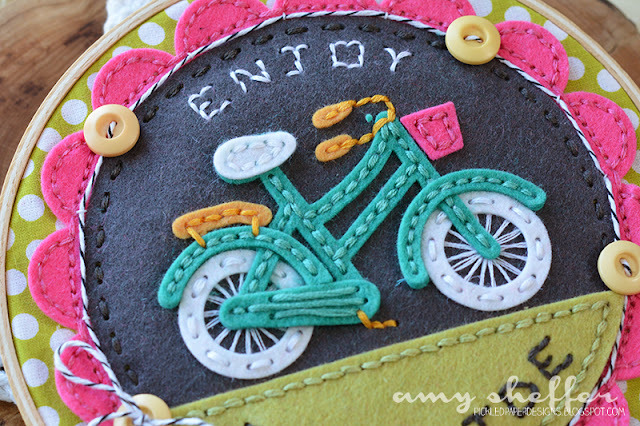 Because it fit my theme SO perfectly, I added a paper tag die-cut with one of the dies from the Make It Market Mini Kit: Holday Pin-Ups collection and stamped with Petite Places: Happy Camper. In between the Smokey Shadow circle and the Raspberry Fizz scallops, I added some True Black baker's twine. If you look closely, you can see that I stitched it in place by looping regular thread over the twine. The green polka dot part is some fabric I had on hand.